Egyptian wellness startup Instadiet.me has been selected for Google Launchpad Africa’s third cohort, Google revealed in a blogpost last week. It is the second startup from North Africa to have made it to the program and the only one in this class that has 12 startups from all over Africa. Egyptian video analytics startups Mintrics was the first startup from the region to have joined Google Launchpad Accelerator. Founded early last year by Ahmed Tawfic Saleh, Instadiet.me is an online marketplace that connects users with verified nutritionists and dietitians. These health coaches work closely with the users, helping them achieve their health goals which could range from losing weight to treating eating disorders. Instadiet.me’s web-based platform provides the nutritionists with different tools to streamline their processes including meal planning, patient management, and communication with the patients. “We take the whole process of dieting online so in essence, we are a marketplace connecting users with credible nutritionists. 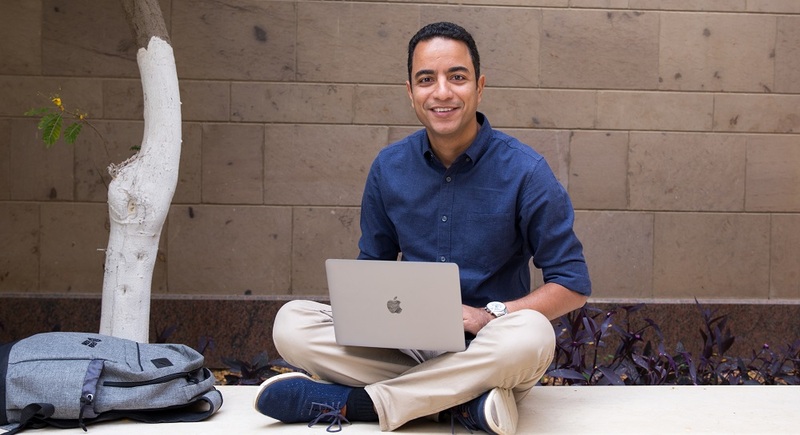 We aim to eliminate all challenges associated with dieting and connecting users with credible nutritionists is just the first step,” said Ahmed Tawfic Saleh, the co-founder and CEO of Instadiet.me, speaking to MENAbytes. During the three-month program that is taking place in Lagos, Nigeria, Instadiet.me along with the other startups that have been selected will receive access to Google engineers and intensive mentoring from more than twenty Google teams, access to Silicon Valley experts and top local mentors, PR training, global media opportunities, and close partnership with Google. The startup will also receive $10,000 in equity-free funding and free access to a coworking space. Having launched their web-based platform just three months ago, Instadiet already has people from Saudi, UAE, Kuwait, and Egypt using their services. Instadiet.me currently has a small team of three full-time and two part-time employees, all of who work from its Cairo office. Ahmed Tawfic Saleh, the founder and CEO, and Mahmoud Elnezamy, the Tech Lead of the startup are in Lagos to take part in the program.